NIXON, Tex. 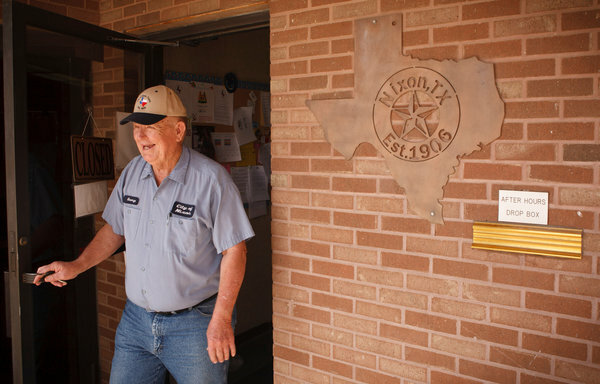 — Since its construction in 1980, the small hard-luck refinery on the outskirts of this little cattle town has been locked shut for more years than it has been open. Situated a hundred miles inland and with domestic crude oil production declining year after year, the refinery could not compete with the large refineries on the Gulf Coast that imported vast supplies of high-quality oil from Nigeria, Angola and North Africa. Rust built up around the refinery’s pipes and storage tanks over the decades, just as it did on dozens of other refineries that closed. But suddenly a technological drilling revolution has unlocked a gusher of superior-grade sweet crude from the Eagle Ford shale field just east and south of Nixon. Two years after a small Houston company named Blue Dolphin Energy reopened the mothballed plant, trucks now line up to take fuels for shipment across the state. Local residents complain a bit about the traffic. 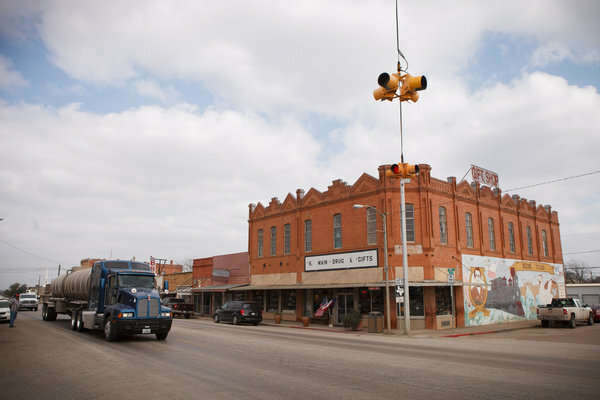 But otherwise Nixon, a town of 2,500 people outside San Antonio where the roads are lined with cactus and many storefronts downtown are still empty, is buoyant with newfound optimism. The refinery has employed more than 50 local residents who were mostly out of work. 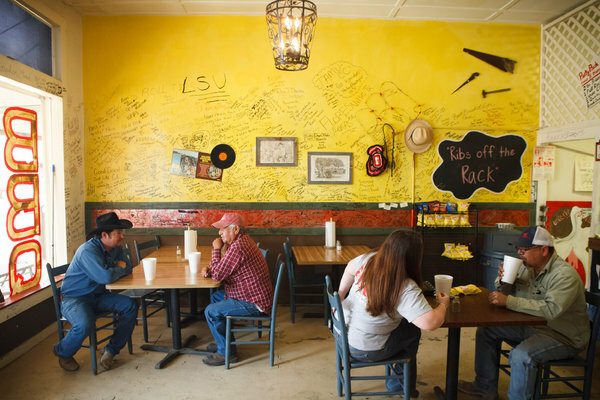 The local barbecue joints and Mexican restaurants are full with workers and truck drivers, sales taxes have doubled and property values have quadrupled since the refinery reopened. Along with the local oil boom, the reopening of the refinery has allowed the town to add a policeman to its five-man department, repave streets and add a well to its water system. Investors are even talking about building a hotel in town. The rebirth in Nixon could be a symbol for what is happening in the refinery business around the country. Long plagued by boom and bust cycles, refiners are now enjoying a rare golden age fueled by cheap and plentiful domestic oil and natural gas. Major refiners like Tesoro, Valero, HollyFrontier and Marathon Petroleum are expanding existing refineries in Utah, Texas, Kansas and Illinois to process the light grades of oil that come out of the new shale fields like Eagle Ford. Smaller companies are investing in “teapot” refineries like Nixon’s to take advantage of the new market conditions. “The flash of expansion over the next two years of refining capacity is the biggest that I’ve seen in 30 years,” said Greg A. Haas, director of research at Hart Energy, a research and consulting company. The expansions come at a time when plentiful American energy supplies give the refiners a competitive advantage with foreign refiners as they expand their markets in Latin America and Africa for diesel fuel and other products. But they also represent an effort by the refiners to nimbly navigate an uncertain market. Domestic consumption of gasoline has lagged in recent years because of the weak economy and increasingly efficient automobiles. Refiners are taking a cautious approach to expansion, analysts say, because the refiners worry that a reversal in the current government policy of banning most exports of domestic oil would raise the benchmark prices for American oil and strip them of their competitive edge with foreign refiners. Otherwise the investments would be even greater, analysts say. Nevertheless an estimated 864,000 barrels a day of new fuel processing capacity is being planned, according to company statements. And many analysts think the announcements do not approach the real number. “There are a lot of refiners who like to keep things close to the vest for competition reasons,” said Leo Mariani, a senior oil analyst at RBC Capital Markets. 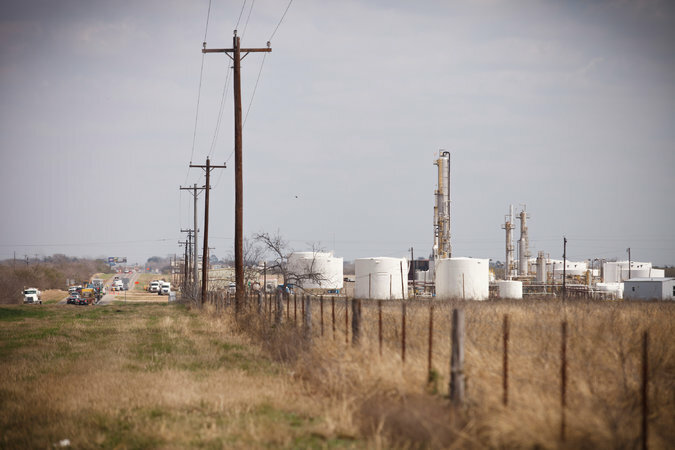 A few entirely new refineries are being built or planned in North Dakota, Texas and Utah. They are small but remarkable nonetheless, since a major new refinery has not been built in the United States in over three decades. All told, the planned refineries, expansions and new distillation towers that will be built over the next few years represent roughly $5 billion in investments. Kinder Morgan, Martin Midstream and several other companies are planning to build simple stand-alone distillation towers to partly refine another growing product — condensates, the hydrocarbon liquids used for petrochemical production that bubble out of the ground with sweet crude. As many as a dozen of these projects are being planned for Ohio, Texas and Kentucky. All the projects represent a sharp pivot for the refiners. Long geared to process heavy crudes imported from Venezuela, Mexico and Canada, the refiners in the nation’s midsection are suddenly faced with excesses of light domestic crudes and natural gas liquids from the shale fields. Few analysts saw the domestic oil flood coming a mere decade ago; now, refiners need to refit their plants for light sweet crudes. “All these refiners have a bad taste in their mouth from spending all this capital building out to process all of this heavy crude and suddenly we have this light crude boom,” said Anthony Starkey, an analyst at Bentek Energy, a consulting firm. A reversal of the export ban could force yet another shift, analysts warn. Most analysts think it is unlikely that the Obama administration or Congress will do more than tinker with the export ban over the next two years, but some predict it will eventually become a pressing political issue if domestic oil production continues to expand. Refinery executives express concern that an end to the ban would narrow the price spread between domestic grades and international grades of crude, diminishing one big advantage they have over refiners abroad that have cheaper labor and less onerous environmental regulations. Michael C. Jennings, chief executive of HollyFrontier, said that authorization of unlimited exports of domestic crude “would take away what has effectively reversed a trend of refinery closures in the United States that had been pretty steady from about 1975 to 2009,” unless the government also modified other policies costly to refiners, including biofuel mandates and a variety of fuel and emissions standards. Leading the way in the expansions is Valero, which is making $800 million of investments to expand and upgrade three Texas refineries to process increased volumes of light-grade crude from the Eagle Ford in South Texas and the Permian Basin in West Texas by early 2016. Much of the new processing capacity will enable Valero to replace partly refined foreign oil with Texas crude, saving shipping costs. Included in the expansions is the building of docks at Valero’s refinery in Corpus Christi, Tex., to ship Eagle Ford crude to other domestic refineries and to Canada, which is permitted under current regulations. Theoretically, Valero executives say, the docks could eventually be used to export sweet crude abroad, though the company opposes a reversal of current export policies.